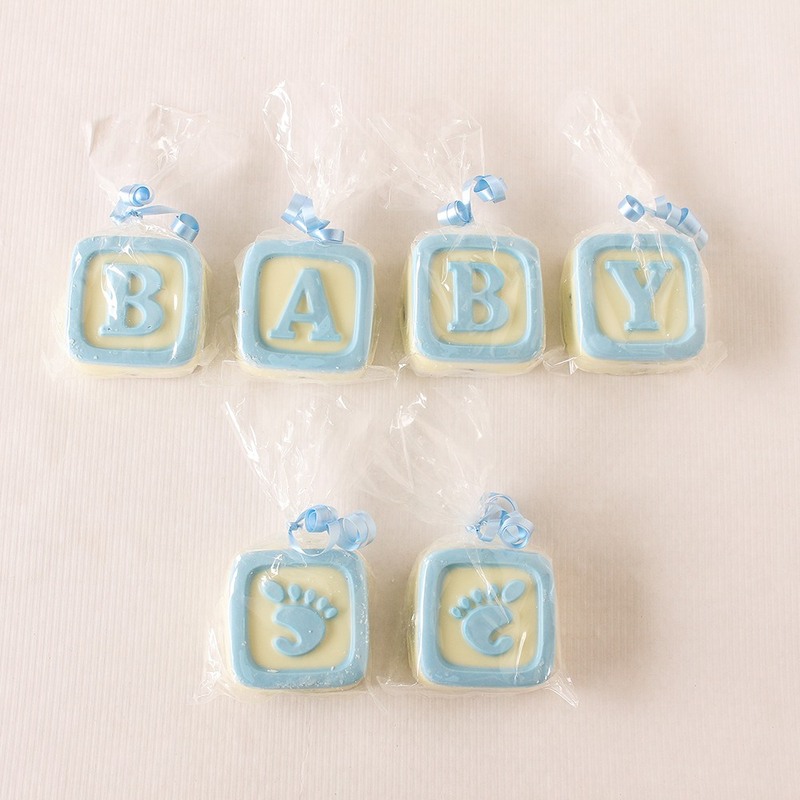 These white chocolate oreos are super cute and make the perfect favors for a baby shower. I didn't have to worry about making favor bags...the cookies already came wrapped up and all i had to do was put them in a cute display in a basket and passed it around. People loved them. They were so good and tasted freshly made. Thank you! The cookies are darling and delicious! They were delivered on time and stayed fresh for a long time! They were bigger than I expected but that was a plus. Everyone loved them! Perfect as a thank you for coming to the baby shower. Arrived on time. One was broke so it gave us a chance to sample one. It was awesome. Plus I liked it was already packaged so all I had to do was arrange them in a basket. The product was delicious and pretty except blue frosting for letters and outline had broken off on several blocks. I purchased 2 sets and they arrived in a small box with no padding around them except on top. I needed something to add to the table as a goodie....these are perfect, arrived in perfect condition, and right on schedule. They will make the baby shower perfect for our little baby girl additions (twins). I am glad I didn't have to worry about making something like this! Thank you! Very cute and tasted great! Was as I expected and even better!!! Q:Are the cookies in the cellophane ? How many are in a single cellophane package, 1,2,6? A:Each cookie is individually wrapped in cellophane bags. Q:how long do the cookies stay fresh - therefore how far in advance should I have them delivered for a 3/14 shower? A:They have a shelf life of approximately 3 months. We normally recommend having them delivered 1-2 weeks before your event and keeping them refrigerated until you're ready to use them. There is an option to select the desired delivery date when placing the order. Q:Can I get Multiple colors in one order? A:You would have to order the minimum 2 sets per color. A:For this item, you can select a date for them to be delivered to you. 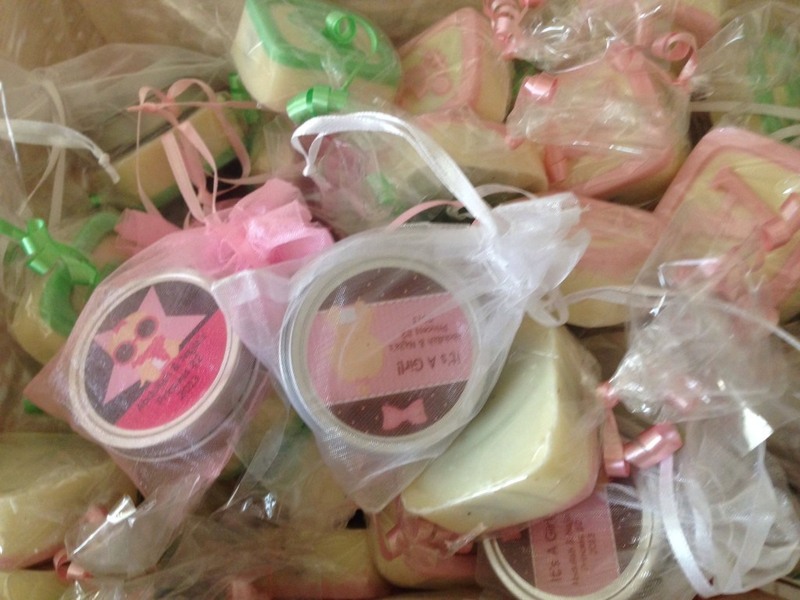 They will not be made until several days before your event date, ensuring their freshness. Shower your guests with adorable treats; these baby blocks white chocolate covered oreo cookies are sweet in more ways than one! 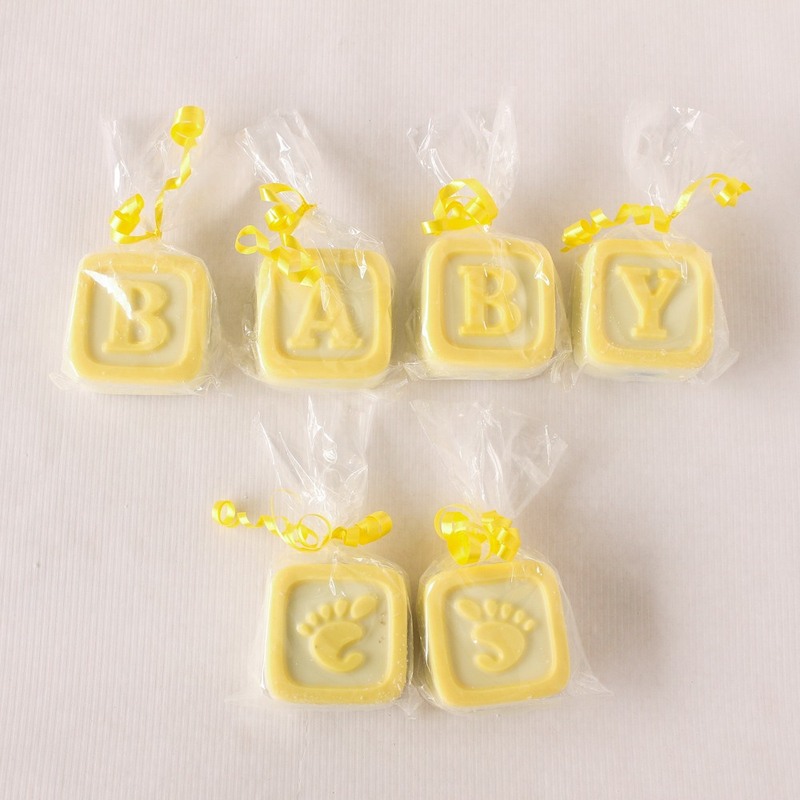 Each set includes 6 "baby blocks": B, A, B, Y, and two little footprint designs. Oreo cookies are coated in delicious white chocolate and available in four colors: pink, yellow, green, or blue. Cookies arrive individually-packaged in clear bags with matching ribbon.